For our first-ever trip to Cebu, we decided to stay in the heart of the city. With so many hotels to choose from, I focused on finding ones that have good online reviews in terms of location, value for money, and customer relations. Gran Tierra Suites met my requirements and I'm glad that I was able to book online with ease. Ours was a late afternoon flight so arrived in Cebu at past 7 in the evening. The quaint boutique hotel's ambiance was an refreshing sight from the 30-minute drive through the busy streets from the Mactan International Airport. Since we already checked in late, the Family Room (only Php 1,189/night) I reserved was ready and waiting. There was no elevator but the bellboy gladly helped us with our luggage. The Family Room has one queen-sized bed for me and hubby and a single bed for Rap. They actually allow up to four persons to stay in the room so it's perfect for a family with young kids. I like how the space of the room is maximized with a dresser (that also doubles as a dining table) that is built beside the wall. The hotel also provided a pitcher and glasses for drinking water. A purified water dispenser is conveniently located in that hall which is one of the reasons I love about the place. I'm diabetic and often thirsty. The hotel has WiFi internet connection in the lobby. Since we stayed at the 2nd floor, the connection is weak in our room so we still had to use our pocket WiFi. Our room has a small shower and toilet which is just the right size and we were provided with towels and toiletries. No drainage problem experienced whatsoever. One more thing I wouldn't forget about Grand Tierra Suites is the complimentary Pastel and Cheese Roll pastries they gave us upon our check-in. Ang sarap! 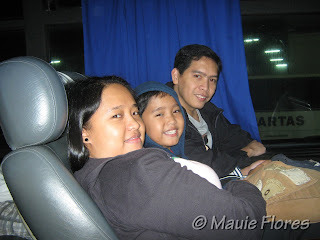 Imagine just how hungry the boys and I were when we arrived that night in Cebu. The pastries helped us make it through until we had the chance to had dinner at Kuya J Restaurant which was a block away. I was told that the hotel owner also owns Cardinal Bakeshop and guests can buy boxes of these at the front desk. Gran Tierra Suites really gives value for your money. It's clean and the street where it's located is quiet. It's also easy to walk your way to Shamrock (the pasalubong place), Larsian (the famous food strip), Kuya J's and STK Ta Bay, Robinsons Place, Fuente Osmeña, and the Cebu capitol. If there's one thing I would like Gran Tierra Suites to provide is complimentary breakfast, hehehe. Still, Gran Tierra Suites earned our thumbs up! Gran Tierra Suites is located at 207 Don Mariano Cui corner Don Jose Avila Streets, Capitol, Cebu City. Visit www.grantierrasuites.com for more information on rates and booking. nice place. love the price. very affordable. i like the fact that the room looks spacious and the bathroom, too. The room look really spacious and clean and really affordable. Definitely, a value for money hotel. Thanks for this recommendation for Cebu. 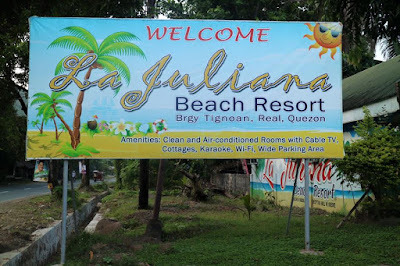 We will be going there before Holy Week. Is Kuya J good? Those cheese rolls look good, hope to see them when we go there. I love that swan towel they made. The hotel looks very luxurious! I love the way they folded those towels. nice hotel room. you can get good rest with nice and quiet place. What a very nice hotel to stay in Cebu. If I'll be given a chance to visit Cebu someday, would probably consider this hotel. I love how everything was so neat and clean. what a nice place indeed. i have never been to cebu and would love to go there someday. We are going back to Cebu next month. Nung last na punta kasi namin di kami nakapag City Tour. First thing, I love the name of the Blog- Mole On My Sole. Cute! Thanks for sharing us these photos. It looks like a nice hotel to stay at after a tiring exploration. Hmmm... I want me some Shamrock treats as well. Num! Num! I miss Pinas! It looks like a nice room. You mentioned that there are no elevators, how many floors do they have in this suite? Hi! They don't offer airport transfer services but you can hire an airport taxi easily. It cost us around 300 bucks from airport to Gran Tierra. The regular cab costs cheaper, though. Php 150 lang to airport.